Michael Tymm, editor of The Searchlight, a publication of the Academy of Spirituality and Paranormal Studies (ASPSI), has recently reprinted an interview with Dr. Carlos Alvarado at his blog. Dr. Alvarado will be the keynote speaker at the Academy's conference June 19-22, 2009 at DeSales University in Pennsylvania. Information about the conference can be found at the ASPSI site. We now present some useful tips for paranormal enthusiasts on taking temperature readings during field investigations of haunts. Several of these tips can be used in conjunction with those we offered in our previous primer on magnetic fields (Williams, Ventola, & Wilson, 2007). 1.) Always take note of the area you are measuring to make sure that any notable changes in temperature that you pick up are not due to natural causes, such as air conditioners or heaters, open ventilation ducts, wall cracks, or weather changes. This will better ensure that the change you are getting is more likely to be an anomalous one, rather than a false one. Although this tip is pretty much common sense, it is also perhaps the most important one to follow. The difficult thing about using temperature as a variable to monitor for the occurrence of haunt phenomena is that it can have so many natural and artificial sources. The closer you pay attention to your surroundings and remain aware, the better the chance you have of ruling out conventional sources. As you begin to do this, the possibility that you are getting something anomalous, and thus something more interesting, begins to go up. Be sure to note down any conventional sources that you may in your investigation log or report. Also, for outdoor haunt sites, be sure to note down the general weather conditions (e.g., cloud cover, presence of wind, etc.) throughout the period of the field investigation, and it might be a good idea to check the local weather reports on TV or in the newspaper prior to the investigation. The more observant and careful you are, the more seriously others will consider your findings. 2.) Be sure to take baseline temperature readings of the haunt site in order to determine how cold (or even warm) the site initially is. It can be helpful to compare readings taken from haunt areas where ghostly phenomena has been reported with readings taken from nearby areas where no phenomena has been reported (“control” areas). This is one basic way to test whether or not haunt sites may be colder (or even warmer) than ordinary sites. Once you have a baseline established, you can compare it to other readings taken at a later time to determine whether or not a temperature change has indeed occurred over time, particularly if a haunt occurrence happens to take place. Measurements should first be recorded throughout the haunt site to determine the average background temperature of the site, as well as locate any areas where there might be sources that could naturally produce a change. If you have a floor plan of the haunt site available, you might note down the readings on it, along with the locations of ventilation ducts, air conditioners and heaters, windows, and other sources where air might leak into the site. This practice will also help in accomplishing the goal in Tip #1. Houran and Brugger (2000) have suggested that measurements at haunt areas should also be compared to those taken in a “control” area where no haunting phenomena have been reported. This can help to establish that the readings taken from haunt areas are anomalous, and not just part of the regular background atmosphere of the area. Field studies by parapsychologists have produced some results to suggest that haunt sites may be colder than control sites (e.g., Terhune et al., 2007), but more data on this is needed to further and better test this hypothesis. Paranormal enthusiasts can be a major help in doing this. Also, always be sure to note your units of measure (i.e., Celsius or Fahrenheit)8, for both accuracy and clarity. 3.) To improve accuracy in temperature readings during the investigation, invest in a good digital thermometer. While standard mercury bulb thermometers can certainly be useful in field investigations to take general background readings at haunt sites, the late parapsychologist Karlis Osis (1982) once observed that these thermometers may be too slow and crude to detect any fleeting changes in temperature that may result from haunt phenomena. Today’s digital thermometers are capable of registering such slight changes in real-time temperature with a fairly good amount of accuracy, and thus they may be a bit more reliable and resourceful. A good digital thermometer that is relatively inexpensive (and which also measures humidity) is the Model 63-1032 Indoor/Outdoor Thermometer with Hygrometer, made by Radio Shack. Non-contact infrared thermometers, such as the hand-held Raynger series made by Raytek, also allow temperature to be monitored accurately and at a slight distance; they are most useful for wide-open spaces, but also tend to be quite expensive. Thermovision cameras and lenses, which visually display temperature fields in an array of false colors (Andrews, 1977), have also recently become relatively inexpensive with improving technology, and can be used for monitoring temperature changes within the space of a room. Some portable ones are made by FLIR Systems, Inc, but they may still be a bit on the pricey side for most paranormal enthusiasts. 4.) Consider taking magnetic field readings alongside temperature readings to see if any changes in temperature are accompanied by changes in magnetic field strength, as would be predicted by the Peltier effect. Although the Peltier effect is a plausible mechanism for cold spots in haunt sites, additional data are needed to further test its validity. Again, paranormal enthusiasts can be of help in accomplishing this. While collecting and noting down temperature readings, other members of your group might also collect and note down magnetic field readings in your vicinity. Since most fields produced by the Earth are DC magnetic fields, it is recommended that the Tri-Field Natural EM Meter (the one with the blue label) be used to take magnetic readings (especially since this meter registers changes in the local geomagnetic field, which may result from an electrical current as in the Peltier effect). However, some seismic phenomena may also sometimes produce AC electromagnetic fields, so taking readings with the Tri-Field Broadband Meter (the one with the tan label) should also be done from time-to-time. (If possible, you might have members of your group take readings from both meters while you take temperature readings, since the two meters measure different kinds of magnetic fields; one meter may detect a field change that the other is unable to.) We refer the reader to our previous primer on magnetic fields for more information about taking magnetic field readings (Williams, Ventola, & Wilson, 2007). As a basic way to look for a possible relationship between temperature and magnetic field strength, you might consider plotting each set of readings (one for temperature, one for magnetic field) in a line graph drawn on a piece of graph paper, and then compare the two graphs to see if they show any similar patterns (such as both showing a sharp increase, or “spike,” at a certain time) with each other. Just as a picture is worth a thousand words, a basic line graph of your data can say a lot about the trends occurring over time at a haunt site. Although this primer is not meant to be comprehensive, we hope that it will be helpful for paranormal enthusiasts when it comes to measuring temperature, and that it will serve as yet another stepping stone for those who wish to take their approach to haunting investigations a step further. 8. Fahrenheit is most commonly used temperature unit in the United States, and is related to Celsius by the equation F = (5/9)*C + 32 degrees, where C is the temperature in Celsius. Andrews, A. K. (1977). The use of instrumentation to detect temperature fields in haunting, poltergeist, and experimental PK investigations. Journal of the American Society for Psychical Research, 71, 333 – 334. Houran, J., & Brugger, P. (2000). The need for independent control sites: A methodological suggestion with special reference to haunting and poltergeist field research. European Journal of Parapsychology, 15, 30 – 45. Osis, K. (1982). New equipment for ASPR research on apparitions. ASPR Newsletter, 8, p. 1. Terhune, D. B., Ventola, A., & Houran, J. (2007). An analysis of contextual variables and the incidence of photographic anomalies at an alleged haunt and a control site. Journal of Scientific Exploration, 21, 99 – 120. Williams, B., Ventola, A., & Wilson, M. (2007). Magnetic Fields and Haunting Phenomena: A Basic Primer for Paranormal Enthusiasts. Available over the Internet at: http://www.publicparapsychology.org/hauntingsandmagnetismprimer.pdf. Downloaded November 3, 2007. Among the various kinds of subjective perceptual experiences that one may report having in a reputedly haunted house, one of the most common may be sensing a noticeable change (typically a drop) in the ambient background temperature within the space of a room (Coghlan, 1998 – 1999; Osis, 1982; Roll & Persinger, 2001; Roll et al., 1996; Turner, 1970). These apparent “cold spots” may occur spontaneously and only be a fleeting feeling, or they may be persistent over time, seeming to be a characteristic part of the haunted locale and perhaps adding to its mystique. In a related manner, some sightings of apparitions or ghosts have been accompanied by sudden feelings of cold. In his classic book Apparitions, psychical researcher G. N. M. Tyrrell (1953/1961) had noticed a fair degree of consistency across the reports of witnesses who had such feelings, with some stating that it was like, “...a jug of cold water poured on the nape of my neck,” or “...as if the blood was like ice in my veins,” or “...a cold, shivering feeling came over me” (p. 73). Other witnesses gave statements suggesting that the cold sensation had emanated from the apparition itself: “As the figure passed we distinctly felt a cold air,” or “Her kiss was like a waft of cold air upon my cheek” (p. 73). A good illustrative example within the annals of psychical research of how cold sensations play into apparitional and haunting phenomena can be found in the “Morton Ghost” case, documented and reported by 19-year-old medical student Rosina C. Despard (Morton, 1892).1 From about 1882 to 1889, the Despard family repeatedly saw the apparition of a woman dressed in a widow’s outfit that would wander through their house in a specific, repetitive pattern.2 Some of the family also occasionally heard footsteps, and on one such occasion, the footsteps seemed to be pacing up and down the second-floor landing. This drew the attention of Rosina’s three sisters and two family maids, who emerged from their rooms with lit candles in their hands to see who was causing the ruckus. As the unseen footsteps passed them, they reported feeling “‘a cold wind,’ though their candles were not blown out” (p. 320). This suggests that the wind may have been a subjective feeling, and not a physical breeze. On another occasion, when Rosina’s sister Edith, her mother, and a maid heard footsteps pass close by them on the landing, they suddenly felt an “icy shiver” (p. 325). Edith herself had an encounter with the spectral widow on another night, while she was singing in the drawing room. She stopped in the middle of her song when she suddenly “...felt a cold, icy shiver, and I saw the figure bend over me, as if to turn over the pages of my song” (p. 325). Are all such cold sensations during apparitional and haunting phenomena purely in the mind of the witnesses (as the candle example in the Morton case suggests), or do some have an actual physical basis in the environment? To find out, some parapsychologists have taken temperature measurements during field investigations of haunted locations to see if they differ much from control locations where no ghosts or haunt phenomena have been reported. In a similar fashion, many amateur enthusiasts have taken readings with thermometers as part of their attempts to search for spirits in ostensibly haunted locations (Coghlan, 1998 – 1999). To help guide them along in their efforts, we are providing at Public Parapsychology another basic primer – another “crash course,” if you will – that may be useful in conducting their haunt investigations. Over the next few days, we will give a brief overview of what parapsychologists have learned so far about temperature in relation to haunting experiences, and provide some useful tips on how to properly collect and interpret temperature readings during field investigations. This primer can be used along with our previous one on magnetic fields (Williams, Ventola, & Wilson, 2007), which it is meant to supplement. 1. For reasons of anonymity, Rosina Despard had reported the case under the pseudonym “Miss R. C. Morton,” hence its name. Since the house at the center of the case was located in Cheltenham, England, it also came to known by some as the “Cheltenham Ghost” case. The details of the case were independently verified by the prominent psychical researcher Frederic W. H. Myers, who stated that, with one minor exception (an elderly man couldn’t recall one event that had happened 6 years before), he “...found no discrepancy in the independent testimonies” (Morton, 1892, p. 311). Incidentally, Rosina Despard went on to become a practicing physician in forensic medicine, which was quite an achievement for a woman in the 1880s. 2. The Morton ghost’s pattern of movement would begin on the second floor of the Despard home, usually after Rosina would hear someone at her bedroom door. Upon opening it, she would see the ghostly widow walking down the landing hallway towards the stairs. The figure would then descend to the ground floor and enter the drawing room, standing at the window on the far side for a time. Then it would exit the room and head for a passage leading to the garden, where it would regularly vanish. On rare occasions, when other people or objects were in its way, the apparition would either simply pass through them, or would make slight deviations in its path to avoid them (Morton, 1892, p. 317, 321). Attempts by Rosina to corner the apparition were unsuccessful, as it would simply disappear (p. 322). Although it initially appeared “...so solid and life-like that it was often mistaken for a real person,” according to Rosina (p. 321), the spectral widow seemed to gradually fade with time, and had completely vanished by 1889. Inquiries by the Despard family suggested that the apparition may have represented the second wife of a previous occupant of the house. Coghlan, A. (1998 – 1999). Midnight watch. New Scientist, 160, 42 – 45. Morton, R. C. (1892). Record of a haunted house. Proceedings of the Society for Psychical Research, 8, 311 – 332. Roll, W. G., & Persinger, M. A. (2001). Investigations of poltergeists and haunts: A review and interpretation. In J. Houran & R. Lange (Eds.) Hauntings and Poltergeists: Multidisciplinary Perspectives (pp. 123 – 163). Jefferson, NC: McFarland & Company. Roll, W. G., Sheehan, L. C., Persinger, M. A., & Glass, A. Y. (1996). The haunting of White Ranch. Proceedings of Presented Papers: The Parapsychological Association 39th Annual Convention (pp. 279 – 294). Durham, NC: Parapsychological Association, Inc.
Turner, K. H. (1970). A South Yorkshire haunt. Journal of the Society for Psychical Research, 45, 325 – 353. Tyrrell, G. N. M. (1953/1961). Science and Psychical Phenomena/Apparitions. New Hyde Park, NY: University Books. The Parapsychology Foundation now has updated their site with various bits of news including, details on their upcoming conference in Utrecht, a new blog post from Carlos Alvarado on Charles Richet's work in psychical research. Psychology Today blogs about recent research on magical thinking. ScienceDude interviews statistician Jessica Utts about her parapsychological research as she joins the faculty of University of California Irvine’s Bren School of Information and Computer Science. Most people dream—or daydream—about the future. September 21-October 5 the International Association for the Study of Dreams (IASD) goes further with an Internet conference on Dreaming the Future of Dreaming. IASD’s seventh annual PsiberDreaming Online Conference, which also celebrates the organization 25th anniversary, will take a look at dream work over the past two-and-one-half decades and also look forward to what our dreams suggest the future might bring. Former IASD President, Kelly Bulkeley, Ph.D., will share his research on dreams about the upcoming election. Dr. Bulkeley has been analyzing political dreams for many years and this year published American Dreamers: What Dreams Tell Us about the Political Psychology of Conservatives, Liberals, and Everyone Else. PMH Atwater explores the realm of the near death experience and shares how this life changing event changes people’s dreams. Atwater is the author of more than a dozen books on this and related subjects. Author and dream expert Robert Moss believes that dreaming is an experiential art which can provide natural access to deeper knowledge and greater awareness of waking life. He will share material from his upcoming book, The Future History of Dreaming. 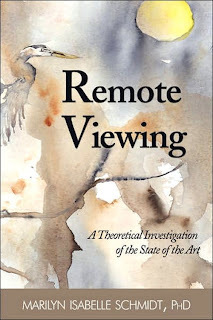 Stephan A. Schwartz is one of the world’s experts on the practical applications of remote viewing and other aspects of extraordinary human functioning. Presenting on “Opening to the Infinite” he will draw on his almost twenty years as research director and chairman of the Mobius Society, which carried out research into remote viewing, creativity, therapeutic intent, and other areas of human performance. The conference will feature more than 20 presenters representing a variety of countries and disciplines. In addition to the presentation and online discussions, there will be a PsiberDreaming art gallery and competitions such as the precognitive and telepathic dreaming contests. IASD has invited dreamers from all over the world to contribute to a document called Dreaming the Future of Dreams. The lead article was written by Robert Van de Castle, retired director of the Sleep and Dream Laboratory of the University of Virginia Medical School. The document will be available to the public at www.ASDreams.org during the conference. Rates for the annual PsiberDreaming Conference are: $40 for non-IASD member, $35 for members and $25 for students with valid ID. New members who join IASD for the first time before October 1 will receive a free pass to the online conference, and a firsthand look at the popular dream organization. Registration is on the IASD website . Dr. Caroline Watt of the University of Edinburgh has published more details about her online Introduction to Parapsychology Course at the Koestler Parapsychology Unit's website. The course is open to the public and accessible worldwide. Course participants will learn about the methods of parapsychologists, what parapsychologists have found, about people's paranormal experiences, what critics say about parapsychology, and how to think critically about paranormal claims and experiences. The course is kicking off this month, and will repeat quarterly. Bookings are available for January 2009. The big news is that Dr. Watt has arranged a 50% discount off of her course fees for student affiliates of the Parapsychological Assocation. There has never been a better time to join the PA as a student. Membership fees have been reduced to $25 per year, and the PA has provided added benefits for its student affiliates, such as access to their members-only site, an online discussion forum for students only, discounts on the Journal of Parapsychology and the Library of Exploratory Science, and now a substantial savings on Dr. Watt's course. To become a student affiliate of the PA, all you need is to be attending an accredited college or university and have an interest in the scientific and scholarly advancement of parapsychology, so why not apply now? Dr. Chris French of the Anomalistic Psychology Unit at Goldsmiths College is currently writing a piece on sleep paralysis and would like to illustrate it with a few vivid personal accounts from sufferers. Sleep paralysis, in its most basic form, refers to the common experience that many people have of being half-awake and half-asleep, and realizing that one cannot move. That in itself can be quite scary. But it's sometimes accompanied by visual and/or auditory hallucinations, a strong sense of presence, pressure on the chest and difficulty breathing, and intense fear. Sleep paralysis can be extremely upsetting but is essentially harmless. However, it is often misinterpreted as a visitation by spirits or aliens. The conference begins at 9 a.m. on October 3 and concludes at 6 p.m. October 4. Featured Guest Speaker: Maggie Callanan, RN, one of IANDS' most popular presenters, hospice nurse, best-selling author of Final Gifts, originator of the term "nearing-death awareness." Maggie will present on her new book, Final Journeys: A Practical Guide for Bringing Care and Comfort at the End of Life, which will be available for sale and signing. Groundbreaking Armchair Discussion: Harold Koenig, RN, MD, NHSc, Co-director of the Center for the Study of Spirituality, Theology and Health at Duke University Medical Center and Bruce Greyson, MD, Carlson Professor of Psychiatry and Neurobehavioral Sciences and Director, Division of Perceptual Studies, at the University of Virginia Health System, and editor of the Journal of Near-Death Studies, talk about meaning and near-death experiences. Four IANDS presidents speaking on their areas of expertise: John B. Alexander, PhD, "Shamanism and Near-Death Experience"; Nancy Evans Bush, MA, "Deciphering, Framing, and Integrating the Difficult Near-Death Experience"; Colonel Diane Corcoran, RN, PhD, U.S. Army Nurse Corps (retired), "Implications of Near-Death Experiences from the Combat Zones of Iraq and Afghanistan"; Yolaine Stout, "Six Challenges Facing Near-Death Experiencers." To register online (fast! easy! ), go directly to http://iands2008conference.worldispnetwork.com/ or to http://www.iands.org and look for the link to the conference page. To register by phone, call the IANDS office, 919-383-7940. IANDS members, $150; non-members, $175. A $20 late fee will be charged for payment received after September 26.
telephone: 1 (919) 383-8575 ; fax: 1 (919) 383-8495. Ask for the special IANDS rate. For alternative hotel information, please contact the Durham Convention and Visitors Bureau, telephone (800) 446-8604 (toll free) and local, (919) 687-0288. CEUs have been applied for from Duke University Health System and are interdisciplinary. Thank You For Your Support of the Rhine Research Center! The Anomalistic Psychology Research Unit at Goldsmiths College is currently collecting data online for a study investigating the possible relationships between handedness, certain personality factors, anomalous experiences and paranormal belief. If you could spare around 20 minutes to complete four questionnaires relating to the above (plus a few demographic questions), the APRU will be eternally grateful. More details and a link to the actual questionnaires can be found at http://www.goldsmiths.ac.uk/apru/handedness.php. It's been a woefully long time since Public Parapsychology has been updated, but rest assured that I have not given up on this space. It's just that the last few weeks have been exorbitantly busy. The big news is that I am getting married this spring. My fiance and I have been engaged for sometime, but we're finally planning our wedding. We found a beautiful location in downtown Columbus on the banks of the Scioto river. Making wedding plans is one sure way to lose blogging time, but I'm excited to be doing it. Those of you who know me and my partner know that our big day is way past due. The other big news is that I have a new part-time job. I've been appointed the executive secretary/business manager of the Parapsychological Association. I will officially take up the post in September, but will be sharing responsibilities with the current executive secretary for the remainder of the summer. This means that I will most definitely be at the joint PA/SPR conference in Winchester, England this August. I am very excited to be planning my first trip to Europe, and will be enjoying some vacation time in England and the Netherlands when the conference is over. I'm not going to make the same mistake that I made last year in Halifax by not enjoying some down time while visiting a beautiful new location. Last, but not least, I'm being interviewed during a live internet podcast this Friday night at 8pm eastern by the folks at Paranexus.org. We'll be discussing my research on haunting experiences, Public Parapsychology, and the latest trends in parapsychological research. You'll be able to call in with your questions. If you can't join us live, the interview will still be available for download in the archives. A few days ago, I reported that the Society for Scientific Exploration had made two recent volumes of their journal available online. It looks like that was just the tip of the iceberg, because the entire archive of the Journal of Scientific Exploration (1987 - 2006) can now be found at their website. You can support the SSE by becoming a member, and receive 2007 issues in the mail. It's only $35 a year for students and $75 a year for associates. Any person who supports the goals of the society can become an associate. At the end of June, scientists and scholars from across the world will gather in Boulder for their annual national conference to discuss UFOs, ESP, consciousness, healing, and other topics on the frontiers of science. This will be the 27th annual meeting of The Society for Scientific Exploration (SSE), an international multi-disciplinary professional organization of scientists and scholars committed to the rigorous study of unusual and unexplained phenomena that cross traditional scientific boundaries and may be ignored or inadequately studied within mainstream science. The public is invited to join which, if past meetings are a guide, will be a lively event. Science has yet to provide all the answers to all the questions that life on this planet raises. However, not many scientists are willing to look for the answers when the search defies conventional scientific methods. "The Society offers scientists a forum to exchange ideas on how to create new scientific methodologies to measure and assess these phenomena while adhering to objective and rigorous research designs. New paradigms need to be discovered in order for science to make a significant shift into the future", said meeting organizer, Dr. Dominique Surel. Consider the work of Dr. William Bengston, a specialist in energy medicine at St. Joseph’s College in New York, who will present his research that shows lab mice bred for cancer research can be cured of tumors with daily hands-on, “intentional” healing as the sole method of treatment. When graduate students were trained to touch the mice for the purpose of healing via bioenergy, tumors shrank in 88 percent of the cases. Speakers will include neurobiologist, Dr. Thomas Dykstra on “Protein Semiconductors in Relation to Insect Olfaction.” Dr. Dean Radin, Senior Scientist at the Institute of Noetic Sciences, will present “Gazing at the Mind's Eye” and discuss an experiment using the mind's eye to perceive a beam of photons, and an ongoing experiment to test if the mind's eye can influence the speed of light. Other topics will include remote viewing with Dr. Courtney Brown, Professor at Emory University and Director of The Farsight Institute, will present his research about Wheeler's delayed-choice experiment that demonstrates observation can influence macro behavior backward in time in the same manner as the behavior of quantum phenomena. Dr. Joie Jones, physicist and Professor of Radiological Sciences at the University of California Irvine, specializes in medical imaging and ultrasound technology in the area of alternative and subtle energy medicine. He will be presenting: The Imaging of Acupuncture Points and the Characterization of Signal Pathways Using fMRI and Quantitative Ultrasonic Methods" with Dr. Young Bae who is also a physicist with formal training in Eastern medicine. Other scientists will present research in the area of UFOs. Dr. Robert Wood, an Aeronautical Engineer and Physicist from Cornell will discuss the “Evaluation of Two Original-paper ‘Leaked’ UFO Documents.” Dr. Claude Swanson a physicist from MIT and Princeton will focus on out-of-body experience, time travel (both in consciousness and physical), levitation, telepathic communication, psychokinesis, and experiences in higher dimensions with lessons about the soul and reincarnation. Many of these phenomena cannot be explained by current physics, and call for a reconsideration of some of its foundational assumptions. "This Meeting is a unique opportunity for scholars and the general public to meet and discover what research is being conducted at the edge of science. 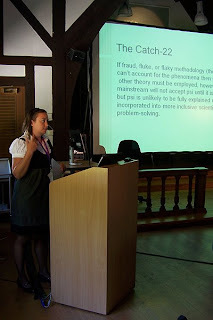 The history of scientific inquiry repeatedly demonstrates how many of the unexplained anomalies are now scientifically proven models and concepts from which new unexplained anomalies emerge and need to be explored", said Dominique. Dr. Urban-Lurain, Director of Instructional Technology Research and Development at the MSU College of Natural Science adds that "SSE members are true-sceptics, pushing the limits of scientific inquiry, and even questioning science's own assumptions. Is it the edge or is it the fringe? It's a fine line." The SSE is professional organization with 800 members in 45 countries. It publishes a peer- reviewed journal: The Journal of Scientific Exploration. The conference is open to the public. Registration fee is $170 and $80 for students. There is a special SSE hotel rate of $99 if reservations are made before May 27. For additional information please visit www.scientificexploration.org. Peer reviewed scientific journals rarely devote an entire issue to the work or memory of one person. Ian Stevenson has been twice honored in this manner. In 1977 most of an issue of The Journal of Nervous and Mental Disease was devoted to his work. This month an entire issue of the Journal of Scientific Exploration has been devoted to his memory. Ian Stevenson was born and raised in Canada, and studied at St. Andrews University in Scotland and at McGill University in Montreal, where he received an M.D. in 1943. He became an assistant professor of psychiatry at Tulane University in 1950, the head of the department of psychiatry at the University of Virginia in 1957, and the Director of the Division of Parapsychology (later renamed the Division of Personality Studies and then the Division of Perceptual Studies) in 1967. Before concentrating on the work for which he became best known, he carried out extensive studies of spontaneous telepathic experiences, on what would become known as cases of near-death experiences, as well as on cryptoamnesia, cases of apparent xenoglossy, “maternal impressions,” and certain types of mediumistic communications. Stevenson’s first paper on reincarnation, published in 1960, came to the attention of Chester Carlson, the inventor of Xerox, who provided funds for further research on reincarnation and eventually endowed a chair for him at the University of Virginia. This allowed Stevenson and his colleagues to conduct field research on reincarnation in Africa, Alaska, British Columbia, Burma, India, South America, Lebanon, Turkey, among other places. Over a period of 45 years, he amassed reports of 2,600 individuals who recounted memories of places, experiences, events, circumstances, and individuals that provided evidence for “cases of the reincarnation type,” as he carefully referred to them. The children studied usually started recalling their past lives between the ages of two and four but would forget them by the age of seven or eight. Many had clear memories of their previous death, which was often violent. Stevenson published more than 200 articles and several books on his research, his magnum opus being the two-volume Reincarnation and Biology, which featured more than 200 cases in which children displayed often strikingly unusual birthmarks or birth defects that corresponded to wounds or injuries that killed the person whose life the child claimed to remember. Stevenson, who retired in 2002, was a founding member of the Society for Scientific Exploration and exemplified the kind of scientist the Society was founded (in 1982) to encourage. The Society for Scientific Exploration is a multi-disciplinary professional organization of scientists and other scholars committed to the rigorous study of unusual and unexplained phenomena that cross traditional scientific boundaries and tend to be ignored or inadequately studied within mainstream science. Its peer-reviewed journal, the Journal of Scientific Exploration, is now in its 22nd year of publication. The Society for Scientific Exploration has made available the complete volumes 19 and 20 (years 2005 and 2006) of their Journal for Scientific Exploration as free downloadable pdf's on their website. The JSE provides a professional forum for the presentation, scrutiny and criticism of scientific research on topics outside the established disciplines of mainstream science. These volumes contain many articles on parapsychological topics, as well as a number of book reviews (some of them written by myself). Thanks to Greg at The Daily Grail for the heads up. The Parapsychological Association and the Society for Psychical Research will jointly hold their annual conventions on August 13-17, 2008 at West Downs Centre of The University of Winchester, Winchester, UK. Registration begins on Wednesday evening (Aug 13) and the convention proceedings start promptly Thursday morning and continue through Sunday lunchtime. PA and SPR conventions feature papers and symposia on a wide range of experimental, theoretical and historical topics related to parapsychology, psychical research and the study of consciousness. The banquet address (Saturday) will be given by Max Velmans, Emeritus Professor of Psychology at Goldsmiths, University of London. PA President Roger Nelson, director of the Global Consciousness Project, will deliver the presidential address. The convention venue is in one of Britain's most popular tourist destinations, the historic cathedral city of Winchester, England's ancient capital and former seat of King Alfred the Great. It is easily accessible by road, rail and air (via coach and rail links). Southampton airport is only minutes away by rail. This convention will be the 51st annual convention of the Parapsychological Association, an international professional organization of scientists and scholars engaged in the study of 'psychic' experiences, such as telepathy, clairvoyance, psychokinesis, psychic healing, and precognition and is affiliated with the American Association for the Advancement of Science. The Society for Psychical research, founded in 1882, is among the world's oldest scholarly societies and was the first established to examine allegedly paranormal phenomena using scientific principles. For further information please visit www.parapsych.org or phone +44 (0) 207 9378984 (SPR). The Koestler Parapsychology Unit at the University of Edinburgh has redesigned their website with updated information about their students, staff, and projects. Coming soon, the Unit will be hosting an online introductory course on parapsychology. There's lots of great information at the site, so check it out. The Center for Research on Consciousness and Anomalous Psychology at Lund University is advertising a doctoral program in parapsychology under the direction of Dr. Etzel Cardeña. Visit a description of the Center's projects at the PA website, where you can also download an application for the PhD program. Dr. Caroline Watt, a senior lecturer in psychology at the University of Edinburgh and past president of the Parapsychological Association, is hosting an online course titled An Introduction to Parapsychology. The ten week course aims to provide a balanced approach and stimulate critical thinking on parapsychological topics. The course is open to the worldwide public. More information is available at Dr. Watt's website. The Anomalistic Psychology Research Unit (APRU) at Goldsmiths, University of London is currently engaged in a collaborative research project with Dr Rupert Sheldrake investigating the phenomenon of "telephone telepathy". This is the fairly common experience of feeling that you know who is calling you on the telephone before you answer it - even on occasions when you had no particular reason to expect a call from that person. Obviously, skeptics and believers in the paranormal have different explanations for what is going on in such situations, but Rupert Sheldrake claims to have demonstrated that a genuinely paranormal phenomenon may be in operation here. The only way to find out is to carry out well controlled empirical studies and that is what researchers at the APRU are doing. They are looking for volunteers to act as participants in this experiment, people who feel that telepathy is possible in relation to phone calls - knowing who is ringing before they answer the phone. Each volunteer is asked to find 4 people who this might happen with. The test itself should take less than an hour and a half. During this period, the volunteer will be in one building, being filmed on videotape, and the four callers will be in another building. They will be selected at random by the throw of a dice for a series of ten trials. The person who is selected to make the call will also be filmed on video while calling the participant. These videos are for research purposes only, and will not be shown in public unless those involved give their permission. All those who take part will remain anonymous in any publications or reports about this work. The APRU has limited funding for this project but they are offering a payment of £50 total to each group of people who take part, that is to say the volunteer and his/her four callers. They can also cover some travel costs, and can provide more details if requested. Spending a quiet winter afternoon with the written memoirs of an investigator of parapsychological phenomena can be a real treat. Over the past few years, I've read and reviewed several books in this genre, which when written well, can provide the public with a behind-the-scenes look at the real work of parapsychologists. Stephen E. Braude's The Gold Leaf Lady and Other Parapsychological Investigations[Photo] is a recent release that I eagerly awaited, not just because it was the latest addition to the genre of memoirs in this field, but because throughout his career Braude has provided much scholarship on the nonexperimental evidence for psi. This latest book, which recounts five cases he has investigated over the last 30 years, was written with the goal of presenting "the appearance - and sometimes only the appearance - of psychic or paranormal events in everyday life" (p. xii). Simultaneously, The Gold Leaf Lady presents the everyday challenges of a scholar who dares to take seriously areas of research that are scorned by much of academia. Stephen E. Braude is a professor of philosophy at the University of Maryland Baltimore County and past president of the Parapsychological Association. I had the pleasure of meeting him while a student at the Rhine Research Center in the summer of 2001, where he gave several guest lectures and a luncheon presentation during his brief stay in Durham. I remember Professor Braude as one of the most dynamic lecturers of that summer. During one of his presentations at the Rhine, he shared a video from his own case material containing some rather bizarre footage. I can still visualize it: a melancholy woman, stiff, uncomfortable and seated quietly with a camera trained on her. She keeps rubbing her eye and looking at her finger. A tiny speck of gold foil becomes visible near her eye. She rubs it again and the golden speck grows to the size of about a quarter inch square. As parapsychology students at the Rhine Research Center, we were learning a variety of methods to investigate extra-sensory perception, psychokinesis on a microcosmic scale, and even a thing or two about haunting investigations. But a woman who spontaneously breaks out in gold (actually brass) foil? How does one even begin to study such a thing? The first chapter of The Gold Leaf Lady is devoted to the successes and failures of studying Katie, who appeared to have other strange abilities in addition to her rather burdensome affliction. Following a chapter outlining a history of physical mediumship, Braude recounts his exasperating attempts to study the alleged psychokinetic superstar Joe Nuzum. Later, readers are introduced to Dennis Lee, a subject in California who seemed to produce observable psychokinetic effects in more informal settings, but whose formal testing was difficult to complete. Next Braude discusses K.R., a police officer in Annapolis, who believed he could transfer images from photographs onto other objects, a case that become a cautionary tale about how even presumably trained observers can be the victim of self-deception. Then Braude devotes another chapter to his own investigation of the paranormal photography of Ted Serios. The final two chapters of the book describe Braude's own apparent encounters with the paranormal. Here he takes a look at Carl Jung's concept of synchronicity and explains in terms of a refined and dramatic form of psychokinesis. Then he discusses the activities of his wife Gina, an academic and clinical psychologist who is also a successful astrologer. Those who have read Braude's previous books, The Limits of Influence: Psychokinesis and the Philosophy of Science or Immortal Remains: The Evidence for Life After Death will not be surprised at his conclusion that after examining the best evidence "we're left with the reality of at least some of the phenomena reported throughout the history of parapsychology" (p.177). However, The Gold Leaf Lady and Other Parapsychological Investigations differs from his previous works by demonstrating just how difficult it is to obtain the best evidence. Those who research parapsychological topics face a variety of challenges - personally, professionally, politically, and financially. How Braude navigates these challenges becomes part of the case material, providing the public and would-be researchers with a closer look at how a university professor goes about investigating the most extraordinary of claims. 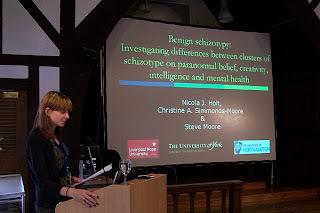 Despite impressive statistical evidence, there are still a number of skeptics and critics of parapsychology who say that they still do not find the case for psi phenomena convincing largely because there is still no developed theory that relates psi to human brain functioning. As a case in point, professional skeptic Michael Shermer (2003) once wrote in his monthly op-ed column in Scientific American that, with respect to telepathy, “Until psi proponents can elucidate how thoughts generated by neurons in the sender’s brain can pass through the skull and into the brain of the receiver, skepticism [that psi exists] is the appropriate response…” (p. 32). While it seems that the mechanism may be a bit more complex than the simple picture Shermer paints of it, he does at least have a fair point in that the search for the neuropsychological correlates of psi should be an important focus for parapsychology if it looks to ever achieve wide mainstream acceptance. Over the years, the search has largely been limited to using scalp electrodes connected to an electroencephalograph (EEG) in order to look for any brain wave patterns that might be associated with psi functioning (Ehrenwald, 1977). However, with the advent of brain imaging technology, there is the promise of peering through the skull to get a possible glimpse of the brain areas that might be involved. This promise is apparently what spurred the design of a new study just published in the latest issue of the Journal of Cognitive Neuroscience (Moulton & Kosslyn, 2008), which focused on the attempt to test for ESP using functional magnetic resonance imaging (fMRI). The study actually represents an attempt by mainstream researchers to experimentally reproduce psi effects, and was conducted by Samuel Moulton, a graduate student in the psychology department of prestigious Harvard University, along with Stephen Kosslyn, the prominent psychologist best known for his brain studies on mental imagery and visual perception (e.g., Ganis et al., 2004). The premise for the study was based in part on a series of studies by Norman Don, Bruce McDonough, and Charles Warren of the University of Illinois at Chicago, in which they recorded the event-related brain wave potentials (ERPs)  of participants engaged in a precognition test disguised as a gambling task (Warren et al., 1992; Don et al., 1998; McDonough et al., 2002). They found that, in cases where they had correctly selected the precognition target, the participants’ ERPs were significantly different in wave structure from the ERPs associated with incorrect selections, suggesting that, on a brain wave level, the participants were sub-consciously “responding” more distinctly to the correct ESP target. Moulton and Kosslyn predicted that the brain as a whole might act similarly, the result of which might be detectable using MRI. To test this, they gathered 19 pairs of people who were emotionally or biologically related  for a telepathy-type test, with one being the sender and the other being the receiver. The receiver’s head was placed into the MRI scanner and they were shown (by way of a mirror) two pictures during each test trial, one of which had been randomly selected as the ESP target. They selected which of the two they thought was the target by a button press and were given feedback (with a 50/50 chance of being right) a few seconds after, all while being scanned by the MRI. In another room, the sender viewed the actual target pictures for each trial, attempting to “send” their contents to the receiver. The overall results indicated that the receivers had correctly chosen the ESP target about 50% of the time, exactly at the level expected by chance alone, thus indicating no evidence of ESP. As a group, the receivers’ MRI scans also did not reveal any difference in brain activity between correct and incorrect trials, although at least one participant had shown less activity in several brain areas (with most reduction being in the temporal lobe) during correct trials as compared to incorrect trials. Given that this participant was the only one to show this reduction, as well as the scanning artifacts that can potentially occur in MRI, it is difficult to tell whether this result was meaningful or not. In all, Moulton and Kosslyn conclude that their study constitutes strong evidence against ESP. Although the study was innovative and thus seemed promising, there were a few issues about psi that may account for the reason no clear brain correlates were found. Moulton and Kosslyn seemed to assume from the outset that ESP is fundamentally different from normal sensory perception, in that it should evoke neural patterns distinct from those for sensory perception (p. 183). This does not seem to fit well with what ESP may be trying to tell us when looked at up close. Unlike normal sensory perception, ESP has no characteristic experience to call its own; there is nothing in the ESP experience that clearly tells us that any (sensory) part of the experience is a feature of ESP only. Instead, ESP is multi-sensory, and seems to incorporate the same sensory modes that we use in normal perception, only in the absence of stimuli (e.g., people say that they see or hear things during an ESP experience, just as they would in normal perception). In other words, ESP appears to be sensory perception in borrowed garb. If ESP really does “borrow” the sensory modes of ordinary perception, then we might expect the same brain areas active in ordinary perception to be active in ESP. This possibility may be indicated by the results of two MRI studies focusing on the telepathy-related phenomenon of sensory stimulation at a distance (Richards et al., 2005; Standish et al., 2003). In the studies, a sender was presented with an intense stimulus (a bright flash) in one room, which was expected to activate the main visual regions in the occipital cortex in the back of the brain. In the MRI room, the receiver in the scanner had shown activation of that same visual region at the same time that the sender saw the flash, despite the fact that the sender’s main visual pathway was blocked (their eyes were covered by opaque goggles). Since the stimuli in Moulton and Kosslyn’s study were pictures, we might also expect the visual regions to be active. A look at the MRI images published in their report indicates that they were, both in the psi and non-psi conditions. If the above view has any merit, then it may have been the case that the psi-related activity was simply “masked” by its shared functional regions with visual perception (this also assuming that some degree of ESP was present in their data despite being statistically undetectable; recall that the results on the ESP test were at chance). Also, it is possible that the psi signal is so weak that it is barely indistinguishable from the wide degree of noise that may be present in MRI scanning, again assuming that there was any ESP at all. Given the chance results, we can hardly expect a brain correlate to be visually apparent if there was no evidence for ESP in the study. For these reasons, using brain imaging itself as a direct test for psi may not be a good choice use of the technology. Furthermore, to really seek out the possible brain correlates of psi, we may have to instead turn to those who have them more often than ordinary people (psychics), and see how their brains may differ (if they do at all) from ordinary people. Some preliminary results seem to suggest very slight structural differences (Persinger et al., 2002; Roll et al., 2002), but this work needs to be followed up on in order to give clearer answers. As much as I admire Kosslyn, it seems that any studies he does in this area will need to take a bit more careful consideration of their underlying assumptions. Bryan Williams is a Native American student at the University of New Mexico, where his undergraduate studies have focused on physiological psychology and physics. He is a student affiliate of the Parapsychological Association, a student member of the Society for Scientific Exploration, and a co-moderator of the Psi Society, a Yahoo electronic discussion group for the general public that is devoted to parapsychology. He has been an active contributor to the Global Consciousness Project since 2001, and was the recipient of the Charles T. and Judith A. Tart Student Incentive Award for Parapsychological Research from the Parapsychology Foundation in 2003. As of August 2007, he is the author of seven articles (two co-authored with William G. Roll) that have appeared in the Proceedings of the Parapsychological Association Convention. His native ancestry lies with the Laguna Pueblo in western New Mexico, and the tribe’s long-held beliefs in survival and the concept of spirits is one of the things that spurred his interest in parapsychology. Event-related potentials are tiny changes in electrical voltage detectable along the surface of the scalp, which are usually the result of sensory stimulation. This is based on findings suggesting that psi experiences tend to be more common among people who are emotionally close or are members of the same family (e.g., Broughton & Alexander, 1997). Broughton, R. S., & Alexander, C. H. (1997). Autoganzfeld II: An attempted replication of the PRL ganzfeld research. Journal of Parapsychology, 61, 209 – 226. Don, N. S., McDonough, B. E., & Warren, C. A. (1998). Event-related brain potential (ERP) indicators of unconscious psi: A replication using subjects unselected for psi. Journal of Parapsychology, 62, 127 – 145. Ehrenwald, J. (1977). Psi phenomena and brain research. In B. B. Wolman (Ed.) Handbook of Parapsychology (pp. 716 – 729). New York: Van Nostrand Reinhold. Ganis, G., Thompson, W. L., & Kosslyn, S. M. (2004). Brain areas underlying visual mental imagery and visual perception: An fMRI study. Cognitive Brain Research, 20, 226 – 241. McDonough, B. E., Don, N. S., & Warren, C. A. (2002). Differential event-related potentials to targets and decoys in a guessing task. Journal of Scientific Exploration, 16, 187 – 206. Moulton, S. T., & Kosslyn, S. M. (2008). Using neuroimaging to resolve the psi debate. Journal of Cognitive Neuroscience, 20, 182 – 192. Persinger, M. A., Roll, W. G., Tiller, S. G., Koren, S. A., & Cook, C. M. (2002). Remote viewing with the artist Ingo Swann: Neuropsychological profile, electroencephalographic correlates, magnetic resonance imaging (MRI), and possible mechanisms. Perceptual and Motor Skills, 94, 927 – 949. Richards, T. L., Kozak, L., Johnson, L. C., & Standish, L. J. (2005). Replicable functional magnetic resonance imaging evidence of correlated brain signals between physically and sensory isolated subjects. Journal of Alternative and Complementary Medicine, 11, 955 – 763. Roll, W. G., Persinger, M. A., Webster, D. L., Tiller, S. G., & Cook, C. M. (2002). Neurobehavioral and neurometabolic (SPECT) correlates of paranormal information: Involvement of the right hemisphere and its sensitivity to weak complex magnetic fields. International Journal of Neuroscience, 112, 197 – 224. Shermer, M. (2003). Psychic drift. Scientific American, 288, 32. Standish, L. J., Johnson, L. C., Kozak, L., & Richards, T. (2003). Evidence of correlated functional magnetic resonance imaging signals between distant human brains. Alternative Therapies in Health and Medicine, 9, 128, 122 – 125. Warren, C. A., McDonough, B. E., & Don, N. S. (1992). Event-related brain potential changes in a psi task. Journal of Parapsychology, 56, 1 – 30.